Here is this month’s Garden Guess. For those of you who like a brain tease, identify the garden from this image. To the person who first answers correctly, a token gift will be presented. Plus, you will receive virtual immortality as I will post your name as winner next month. Good luck. And remember, if you read Of Gardens, you will know the answer to Garden Guess. CONGRATULATIONS to Jessica Dawson of the Library of American Landscape History (www.lalh.org) who correctly identified last month’s Garden Guess as Naumkeag! Because I know you were recently at a seminar, I’m guessing it is Beatrix Ferrand’s garden. Haven’t been there myself but hope to go one day. Ahhh. I can see I have been beat. The Terrace Garden in Garland Farms is my guess as well. You made it so easy. Next month I will make it really difficult! Thanks for participating! 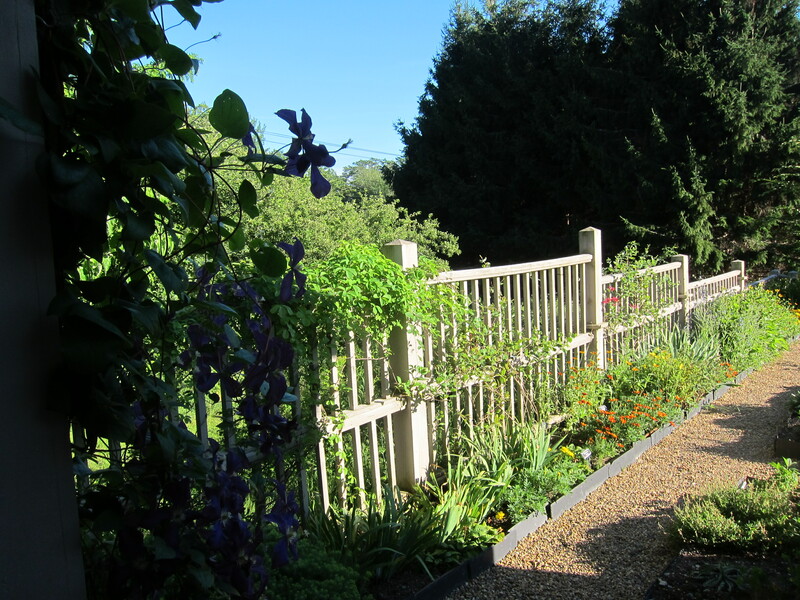 To read more about the Terrace Garden at Garland Farm (not Farms), please visit our website http://www.beatrixfarrandsociety.org If you are on Facebook, like our Beatrix Farrand Society group to stay up to date on events and news.